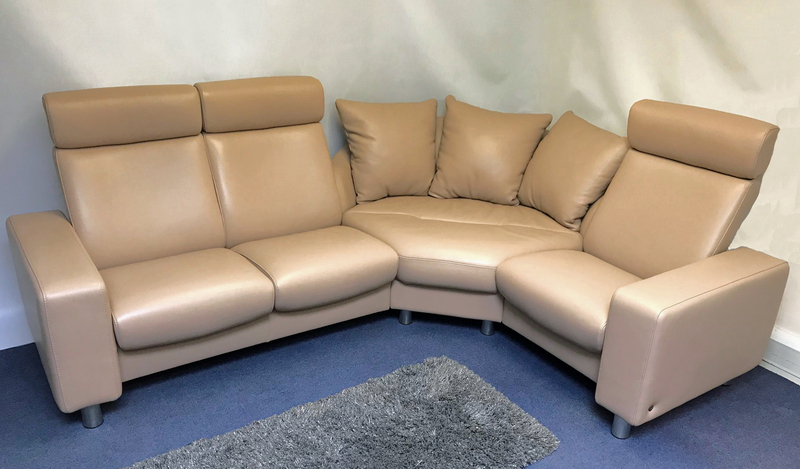 Description: Stressless Arion High Back Corner Sofa. Standard Armrests, Chrome Steel round Leg. Reason for Clearance: Ex- Display & Discontinued colour. In new condition with little to no visible marks. Terms: Free delivery to mainland UK only.